Can you name a kitchen appliance that revolutionized dinner time as much as the microwave? When cheap microwaves were first made available for home use in the late ‘70s, they were marveled for their speed and convenience. At the time, many thought it would be able to replace their oven, cooking roasts and casseroles in a fraction of the time. While you could cook those things in much less time in a microwave, the results of some meals weren’t quite the same as cooking in the oven. Microwaves couldn’t completely replace the traditional oven. But while most of us know there are limitations to what a microwave can and can’t do, you might be surprised to learn what dishes are not only possible, but practical and delicious! Here are 5 microwave recipes you didn’t know were even possible. You might have cooked bacon in the microwave before, but here’s a good trick: drape the bacon over a bowl. The bacon will crisp up and the grease will run down the sides of the bowl. This helps the bacon get crispy and helps eliminate some of the extra grease. It’s also a good idea to lay a paper towel over the bacon as it cooks. It will keep bacon grease from splattering the inside of your microwave. The morning is often a busy time, so why not use a microwave to make a tasty and convenient morning muffin? Just mix 1 egg, and 2 tablespoons of sugar, flour, milk, cooking oil, and your favorite fruit (or chocolate). Mix well and then microwave for 3 minutes. Depending on the power of your microwave, it may take more or less time so keep a close eye on it the first time you run this recipe. 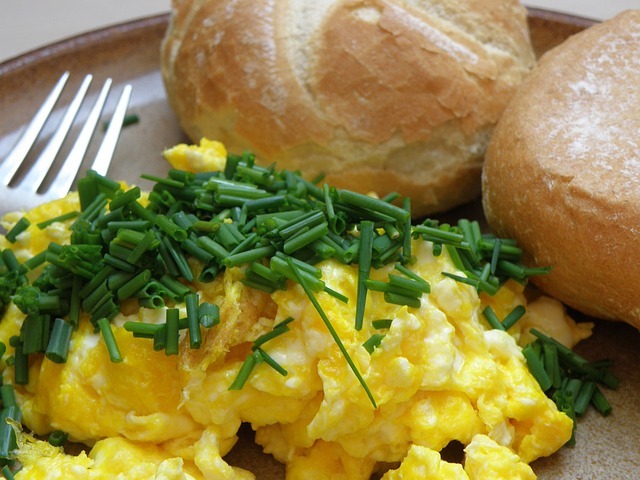 Another breakfast recipe to start your day off right, scrambled eggs are nutritious and easy to whip up when you’re hungry. Simply scramble your eggs, add a dash of milk, salt and pepper to your tastes, and microwave it in 30 second increments (or shorter if your microwave is powerful). Stir in between each increment until your eggs reach your desired cook. Plate—maybe with some microwave bacon—and enjoy! Potato chips are a snack food that is hard to put down but making them yourself is much easier and potentially healthier than going to buy a bag at the store. Most people don’t expect their microwave to make crispy foods, but they are remarkably good at making chips! Simply cut your potatoes as thin as possible (a mandolin slicer is ideal for this), mix the slices with a small amount of healthy oil, and place them on a sheet of parchment paper on a microwave safe dish. Sprinkle a bit of salt or flavoring, and microwave for 5 minutes or until they’re crispy. Nothing is better than the smell of freshly baked banana bread, but it might be a chore to fire up the oven and bake a full loaf. You can do it much easier on a smaller scale though in your microwave. And mix them thoroughly. Place into a mug misted with non-stick spray or rubbed with butter and microwave for 2 to 3 minutes. Again, the time may vary depending on the power of your microwave. If you’ve got a microwave and an appetite give one or two of these recipes a try. You might be pleasantly surprised at how easy and delicious cooking with a microwave can be! Tips for cooking in a smaller kitchen.